StorFly SSD, IoT and Data Security » HHP Associates, Inc.
Can there ever be enough data security? With Industrial Internet of Things storage and other data-intensive applications booming, multiple methods of security are essential. This imperative places challenges on solid-state storage, as industrial SSD solutions are deployed widely for IIoT storage. 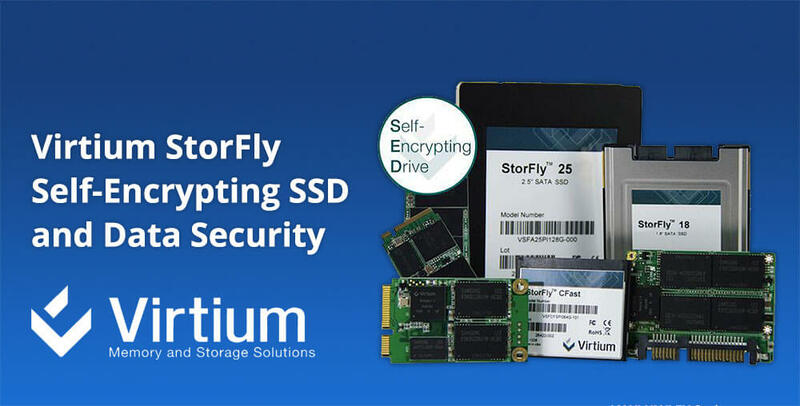 This just-published IoT data security encryption article in EE Times covers diverse approaches to data and device security, highlighting Virtium’s StorFly self-encrypting SSDs. We are honored to serve as a manufacturer’s rep for Virtium, who manufactures solid-state storage and memory solutions for the world’s top industrial embedded OEMs.